As autumn approaches, many of us will be preparing to harvest crops, enjoy meals with our families and give thanks for God’s abundant gifts. 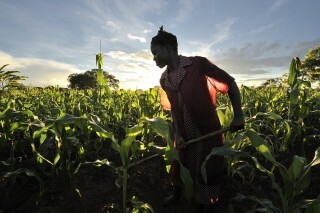 However, in many parts of the world, heavy rains, drought and the rising cost of seeds make it difficult for small-scale farmers to grow enough food to meet their nutritional needs and sustain their families. Prolonged war, poverty and poor health are other reasons many families in our global village remain hungry. On October 16, we observe World Food Day–a day to reflect on the prevalence of world hunger and malnutrition and inspire solutions for lasting change. This autumn season, let us remember the global struggle against hunger and think about the ways that we can share in God’s abundance and bring hope to those who are food insecure. There is enough food in the world to feed everyone yet over 870 million people do not have enough to eat. Globally, that is one in seven people. PWS&D works with Canadian Foodgrains Bank and our partners overseas to help farmers in developing countries rise above hunger and to ensure there is enough food for all. 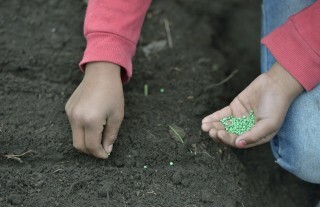 PWS&D programs provide farmers with seeds, tools, fertilizer, and training in innovative and sustainable farming practices, as well as emergency food assistance in times of need. We also work to engage Canadians in taking actions within Canada to reduce hunger globally. Join the Movement to End Hunger! The issues behind global hunger are complex, but our actions and gifts are making a difference. In Guatemala, Maria Victoria Perez is no longer facing hunger thanks to support from PWS&D. PWS&D’s local partners in Guatemala helped teach Maria how to plant trees and diversify her crops to improve her family’s nutrition. Maria’s garden is flourishing. 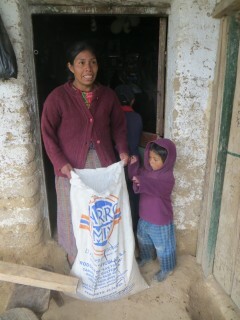 She is also empowering other women to rise above hunger and create a better quality of life. The resources in this package will call your church into a time of praise and thanksgiving, and also a time to reflect on those around the world who don’t have enough to eat.